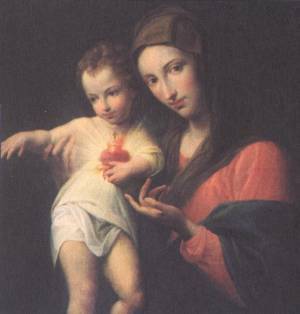 June is the month of the Sacred Heart of Jesus. Much can be said about His heart and His love for innocent babies and children. But there is also another perspective too and that is how much He cares for people who are pro – life and trying to build up a Culture of Life and protect the unborn. In other words, God reaches out to you this month in a special way, to encourage you in your pro-life work! If you are sometimes discouraged in your pro-life work there is a place you can always go for courage and encouragement – to the Heart of Jesus Christ!